I am often asked about the role of corporate partners and how their philanthropy supports the National Park System. More recently, I've heard concerns about commercialization attaching itself to the national parks themselves. I always welcome the opportunity to have an open conversation about the great need for philanthropic support for national parks. In fact, I receive communications from park lovers every day and am inspired by each individual's commitment to the national park idea. Be it critique or compliment, every note, every phone call, every social media post is important as it's someone's personal thoughts or concerns about America's national parks and programs, which we collectively steward. Currently, a proposed update to the existing Director's Order 21, the policy that guides philanthropic support of national parks, has sparked some discussion. In an effort to clarify what these updates are and what they mean for our national parks, I sat down with National Park Service Director Jonathan B. Jarvis to answer the questions that have come my way. WILL SHAFROTH: Before we jump into the proposed updates, I think it's important to first talk about the need for private support. Why do America's national parks need private support from individuals, foundations, and corporations if taxpayer money already goes to parks? JONATHAN JARVIS: From their very beginnings, national parks have benefited from private support, often from the corporate community. Many of the earliest national parks, including Glacier and Grand Canyon, were the direct beneficiaries of the transcontinental railroad companies, which helped design, build, and provide much needed visitor services in the parks. This tradition of generous, committed philanthropy continues today and is critical to the success and longevity of our national parks. Private philanthropy has always been and will continue to be a critical part of ensuring the preservation and enhancement of the National Park System. SHAFROTH: Does corporate philanthropy threaten the integrity of national parks? JARVIS: No. Corporate partners are vetted through a thoughtful process to align objectives and benefits to parks and programs. We also check for issues that would prevent us from accepting a donation from a corporate entity including, but not limited to, litigation, negative business practices, and conflicts of interest arising from existing or in-progress contractual relationships with the National Park Service (NPS). SHAFROTH: Why are proposed updates to Director's Order 21 necessary? JARVIS: We need to be state-of-the-art and sophisticated about how we engage with donors and corporate America. While we're not going to allow naming or product endorsement or any of that, there can be positive association with the National Park Service and the National Park Foundation, and that's okay as long as it's done tastefully and appropriately. The proposed updates outline what we can and cannot do. For a list of proposed updates, please visit the National Park Foundation's blog. SHAFROTH: Are you worried about commercialization of the national parks? JARVIS: No. The proposed updates, as well as the donor recognition legislation, contain protections against this. In addition, we've consistently found that the companies we are working with are not interested in being a part of commercialization of the national parks. SHAFROTH: What are the rules and guidelines for recognizing someone or a company that contributes to the National Park System? JARVIS: Donor recognition is offered as a package to individual and corporate donors when the donation is being negotiated. The donor is not obligated to take any or all of the donor recognition rights and benefits. Sometimes, a donor does not want any recognition. There are laws, regulations, and policies that govern donor recognition. 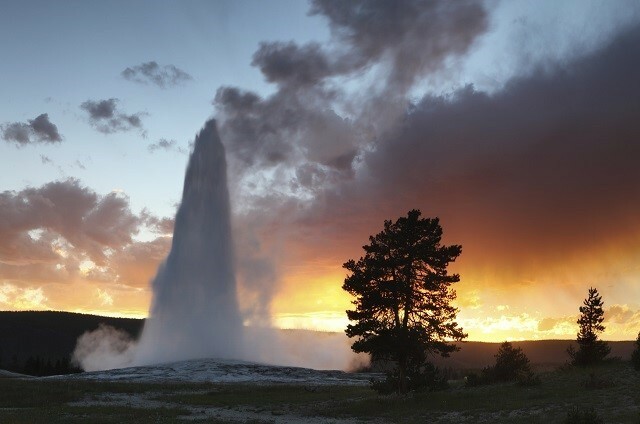 For a list of the policies that govern donor recognition, please visit the National Park Foundation's blog. SHAFROTH: Recently, a few news outlets have said that the updates make it possible for parks to be re-named or have "brought to you by..." tagged on to its name. Is that true? JARVIS: Absolutely not. Such acts would violate both the law and policy, both of which prohibit naming of parks or features and donor recognition that implies endorsement of a business or brand. SHAFROTH: Will we see park facilities named for donors? JARVIS: Absolutely not. Naming rights to any unit of the National Park System or a National Park System facility, including a visitor center or historic structure, are prohibited. You will not see the type of corporate naming like there is at stadiums. Rooms inside facilities like a gallery or meeting space may be temporarily named, for a 5-year period, to thank a donor specifically for supporting the renovation or construction of the building. It's important to remember that these renovations enhance the visitor experience. But even still, the Director of the National Park Service must authorize naming opportunities before an offer can be made to a potential donor. As I mentioned earlier, the National Park Service is committed to ensuring that this is done tastefully and appropriately. SHAFROTH: Will we see vehicle wrap designs that display advertising slogans? JARVIS: You may see wrapped vehicles with park-inspired designs. You may see a vehicle with a short, unobtrusive credit line including a donor's name or logo, but only when the donation relates to the actual vehicle. Unlike public transportation like subways and buses, you will not see vehicles with advertising slogans. SHAFROTH: Will we see logos displayed in parks? JARVIS: First and foremost, I want to clear up any confusion there is about logos. Logos would not be permitted on donor boards and walls, paving stones, park furnishings or other ways donors are often recognized. The only new aspect to the proposed updates would be that logos could be part of a short, discrete credit line on temporary materials and interpretive displays. This credit line would follow strict design guidelines. For example, the Find Your Park/Encuentra Tu Parque banners currently displayed in parks are part of the donor recognition offered to the National Park Foundation's partners for the Find Your Park/Encuentra Tu Parque movement. Another example of how a logo or a person's name could be used is "This exhibit was made possible through the generous donation of X donor." A short credit line like that could be used on interpretive and digital media, printed materials, temporary signage, or other temporary items. Logos at special events will have to follow very strict guidelines, which are outlined in a separate Director's Order. More information about Director's Order #53 can be found on the National Park Foundation's blog. SHAFROTH: Does the updated policy make it mandatory for National Park Service staff to raise money? JARVIS: No. To clarify, park employees have always had the authority to support their partners, including the National Park Foundation and local Friends Groups, by attending partner fundraising events as subject matter experts. However, they may not solicit donations. Superintendents already have the authority to accept donations, they just can't solicit. Under the proposed updates, the only change is that they may be delegated the authority to accept larger donations, if and when they complete a required training and certification program. It is very important to note that, as private support for the parks isn't a new concept, philanthropic partnerships aren't new for superintendents and park staff. These partnerships are a fundamental way for parks to achieve more than fundraising goals. Partners provide volunteer support and vital in-kind services, equipment, and specialized skills. SHAFROTH: How will the role of the National Park Foundation and the more than 200 Friends Groups across the country be impacted by the proposed updates? JARVIS: The proposed changes would streamline certain processes, move more authority to the field, and generally make the National Park Service a more effective partner. They would also allow our superintendents who don't have local partners to accept donations and create an environment for them to develop new partners. SHAFROTH: Will product placement be allowed? JARVIS: No, it is not allowed. Distribution of free products or samples to park visitors would not be permitted at non-NPS events. During NPS events, donations for NPS programs could be recognized with a credit line or statement of appreciation on program materials distributed at the event to which a donation was made. Examples include a "Thank you" on t-shirts, key chains, water bottles, hats, or first aid kits. SHAFROTH: Can a donor own and operate a park facility? JARVIS: No. A donor may not own and operate a park facility. Creating new facilities goes through a rigorous review process and the requirements are very strict to ensure that federal requirements are met and park resources are protected. A donor or partner may assist the National Park Service in this process. Park facilities constructed by partners become the property of the National Park Service. My hope is that this conversation will help clear up some of the confusion surrounding the proposed updates to Director's Order 21. Taking a broader look, the very existence of our national parks depends on our collective accountability. This comes in many different forms including the support of individuals and corporations, volunteers, and continuous, relevant engagement with visitors. I am grateful to be part of such a passionate community that is dedicated to ensuring that the integrity of our national parks is respected and protected. Corporate partners are uniquely positioned to leverage major resources to improve parks and ensure they're not just protected, but enriched well into the future. 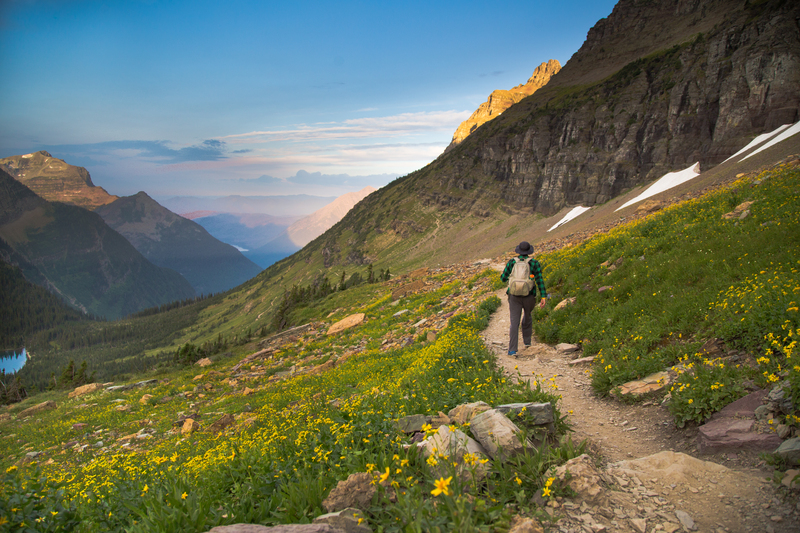 Thoughtful corporate philanthropy is more than a source of funding for America's national parks; it is a cornerstone of their origins and key to their next 100 years. Through our shared commitment to protect and strengthen these national treasures, they will thrive today and into the next century.